For professional LPG Auto Gas Engine Conversions or Tune-ups, service, and repairs, you won’t find better than AG Autogas & Mechanical. 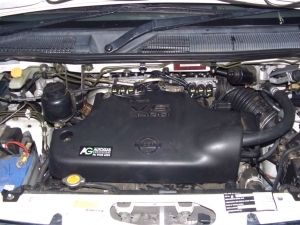 We are a specialist in LPG engine conversions and auto servicing in Melbourne and Lilydale. For over an extended period of time, Melbourne and Lilydale, we have successfully converted endless cars, 4WD’s and trucks, of all makes and models. And once you have a conversion complete, your engine is kept in sound condition thanks to our efficient service. Reasonable to utilize: When you convert your vehicle to autogas it is entirely reasonable because the more you drive, the more you save. Cost Conversions is moderate: The next advantage you will gain is the cost of conversion and maintenance is very economical at our workshop. Clean burning and safety: Autogas vehicles lessen injurious emissions by roughly 40% compared to gasoline vehicles. Autogas also notably decrease pollutants like carbon monoxide and is non-toxic, non-poisonous and is insoluble in water. On the other hand, auto gas tanks are 20 times more puncture resistant than other fuel tanks. The most feasible alternative fuel solutions for fleets: Autogas is one of the most cost-effective alternative fuels to execute. This autogas vehicle technology is cheap then that of many other options. This is most appropriate for industries due to inexpensive infrastructure easy to implement and easily scalable. For our Conversions, we ensure all our work 100% and back it up with a fully transferable three- year, 100,000- kilometre warranty. Now that’s real peace of mind motoring. Our auto specialist AG Automotive and LPG is exceedingly skilled to the highest Australian standards in LPG installation. If you’re looking for a standard or primary service, repair and autogas tune-up in Melbourne and Lilydale: – CALL us on 03 97394999 or email us at info@autogas.com.au.